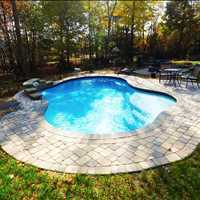 Carolina Pool Consultants is the superior Lake Norman pool builder. 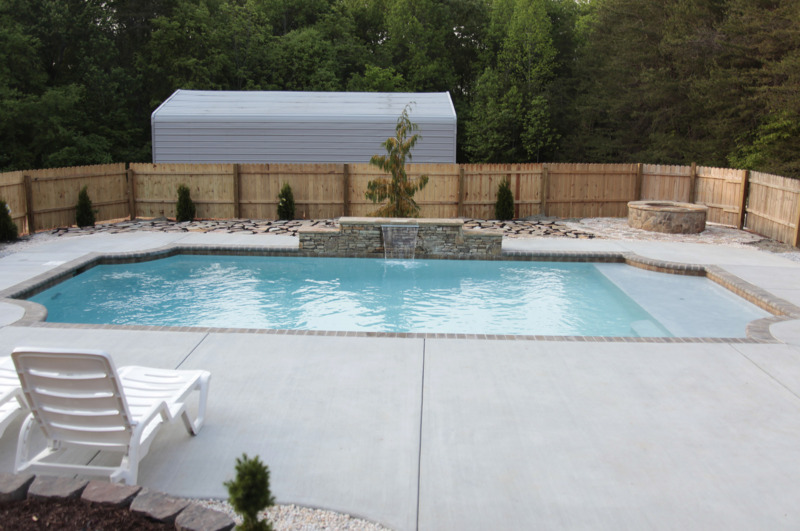 For years we’ve worked side by side with families across the region year round to make their dream pools a reality! 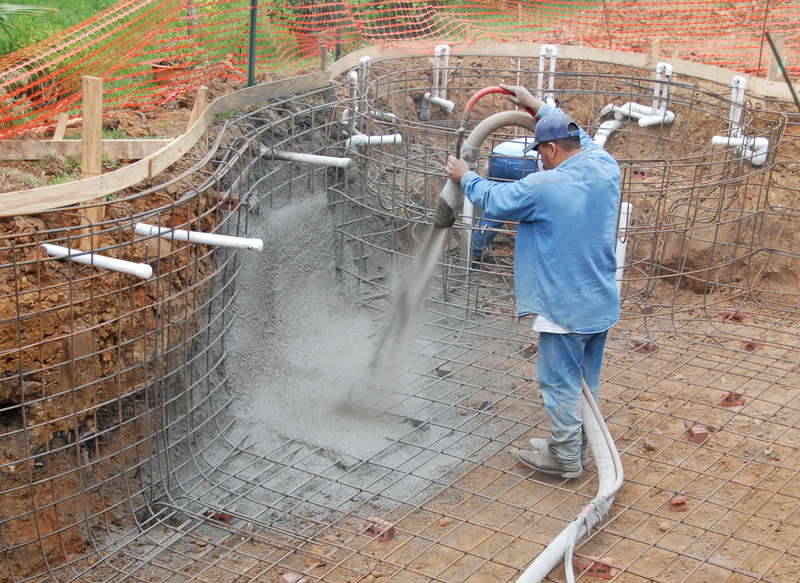 When you’re considering building your first pool, reach out to our staff today for a concrete foundation of knowledge concerning your new pool. 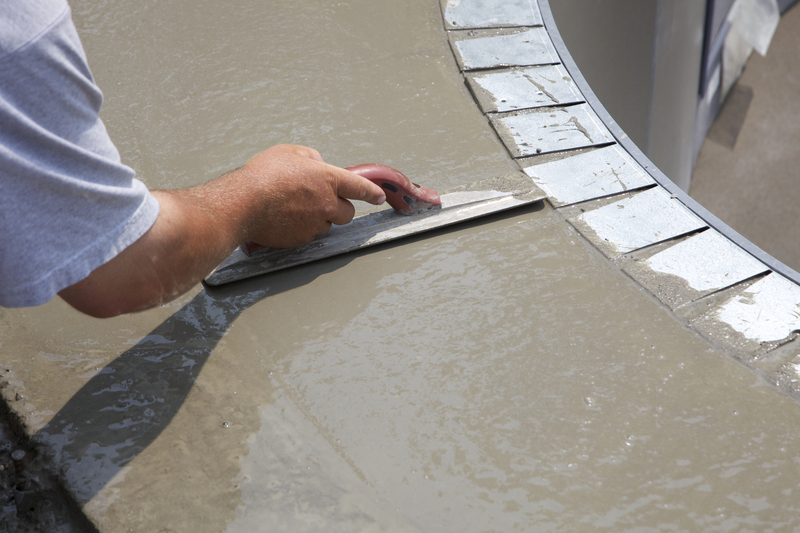 We work specifically with concrete, because we know that it provides the best inherent value and custom options for customers. 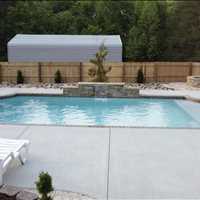 Concrete allows us to truly bring your dream pool to life, with any additions and features you could wish for. 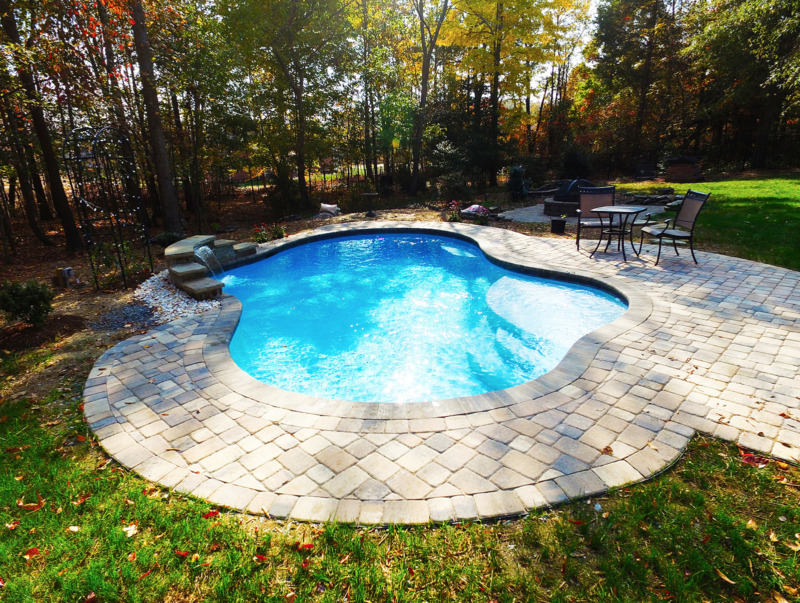 Vinyl pools have a vinyl liner that can be punctured by the very tools used to clean them, not to mention overhanging tree limbs, children or potentially anything with a non-smooth surface. 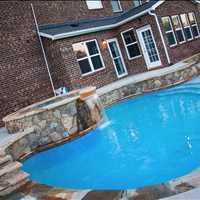 With a liner replacement bill of approximately $4000 every 3-8 years, vinyl pools end up costing by far more over the lifetime of the pool than a concrete pool. 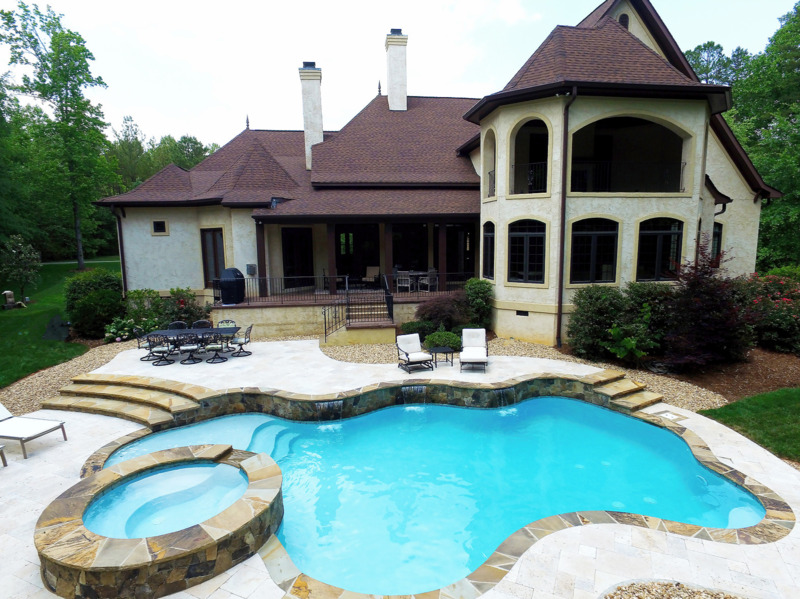 Likewise, even though Fiberglass pools have a lower entry cost than concrete, our Lake Norman year round pool builders always suggest building with concrete for the lower lifetime cost. 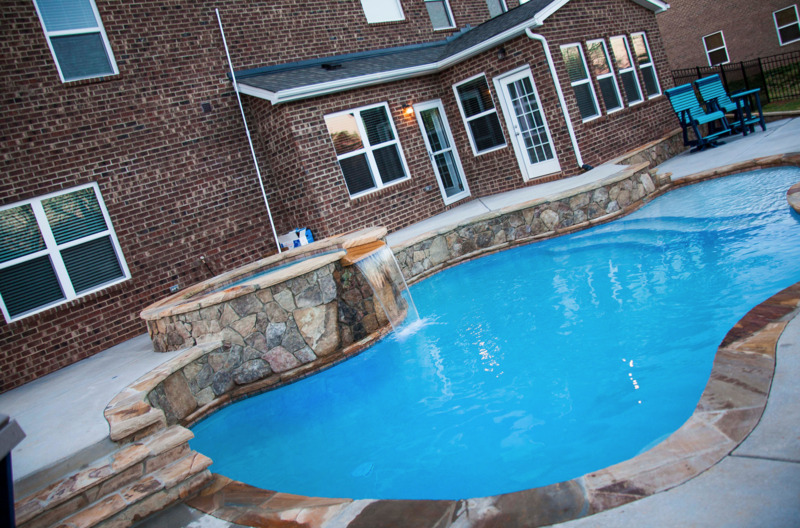 Not only this, but fiberglass pools offer little to no customization options do to the very nature of how they’re molded and formed at the factory. 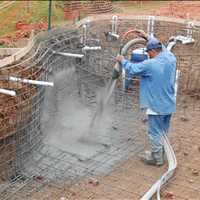 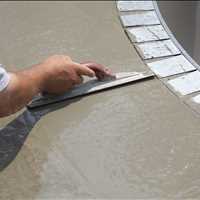 When you’re looking for the best value and best pool design, there’s no substitution for a concrete pool. 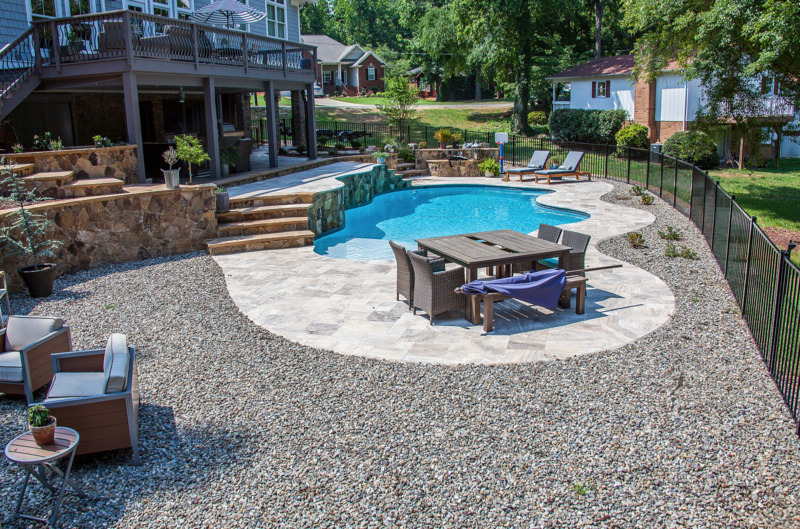 Year in and out, our Lake Norman concrete pool builders have brought the latest technology and time tested skills to the fore in designing and building your pool. 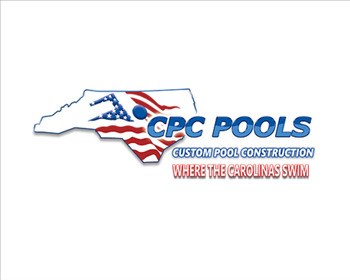 Speak with us today, get the facts and build out your one of a kind backyard paradise pool by reaching out to CPC Pools.